The Hyperloop system is designed to transport both people and cargo at approximately 1,200 kilometres per hour. 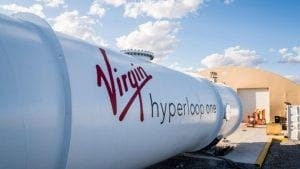 VIRGIN are testing their new Hyperloop One in Malaga, creating more than 250 jobs in the area in the next five years. The US company has made a deal with ADIF (Spain’s administor of railway structures) to build the €432 million facility in Bobadilla. According to Virgin’s website, the Hyperloop One will be able to travel at ‘speeds of up to 700 mph’. The project is set to be launched in 2020, and will be used to test the Hyperloop during its expansion across the world. The system cuts out human error by being completely autonomous and uses electric propulsion to power itself. ADIF claimed Virgin had chosen Malaga for its testing because of the countries highly qualified workforce and leadership in high-speed rail. The investment however will not go ahead unless 126 million euros is obtained through public aid, loans and grants. Virgin has bought an area of 19,000 square meters for the project which will accommodate all of the equipment needed to make this high-speed technology a reality. Recently Virgin CEO Richard Branson claimed the hyperloop could be ready for passengers to travel on as early as 2021.